While veal is traditionally more popular than beef in Italy there are a number of classic Italian beef dishes – think carpaccio and ragù – which more than pull their weight in the country's culinary canon. Whether you're planning on simmering chunks of beef in a sauce or serving slivers of juicy, rare steak as a starter, remember that spending a little more on the best quality beef available is a worthy taste investment. Browse this varied collection of beef recipes for some meaty inspiration for your next meal. Emanuele Scarello creates a ragù from beef mince in his pasta sauce recipe, while Luigi Sartini's beef lasagne recipe is given a kick of colour with sheets of vibrant spinach pasta. 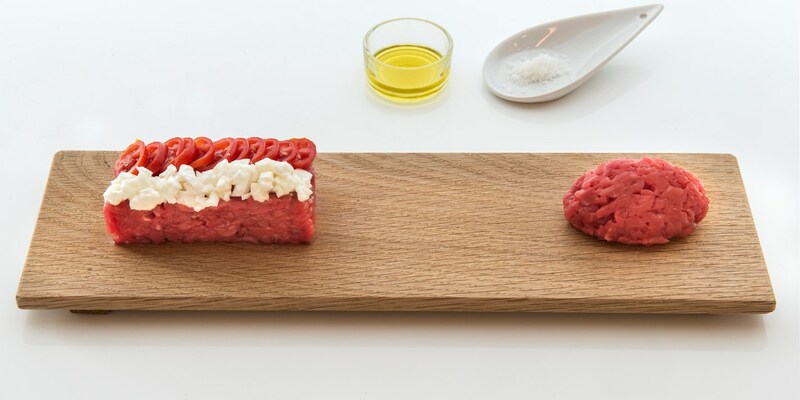 For a simple – but stunning – starter recipe try Giorgio and Gian Pietro Damini's Raw beef with tomatoes and mozzarella.